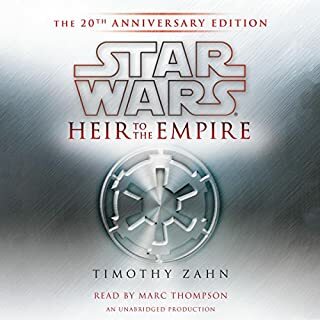 Hugo Award-winning author Timothy Zahn made his triumphant return to the Star Wars universe in this first of an epic two-volume series in which the New Republic must face its most dangerous enemy yet: a dead Imperial warlord. The forces of the Empire stand at the brink of total collapse. But they have saved their most heinous plan for last. First a plot is hatched that could destroy the New Republic in a bloodbath of genocide and civil war. 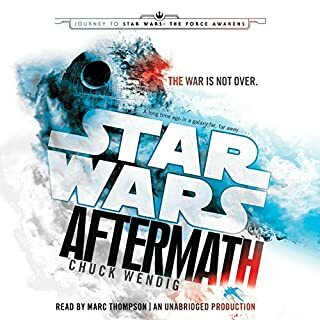 Then comes the shocking news that Grand Admiral Thrawn, the most cunning and ruthless warlord in history, has apparently returned from the dead to lead the Empire to a long-prophesied victory. 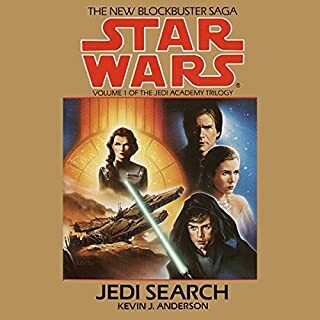 Facing incredible odds, Han and Leia begin a desperate race against time to prevent the New Republic from unraveling in the face of two inexplicable threats: one from within and one from without. Meanwhile, Luke teams up with Mara Jade, using the Force to track down a mysterious pirate ship with a crew of clones. Yet perhaps most dangerous of all are those who lurk in the shadows, orchestrating a dark plan that will turn the New Republic and the Empire into their playthings. 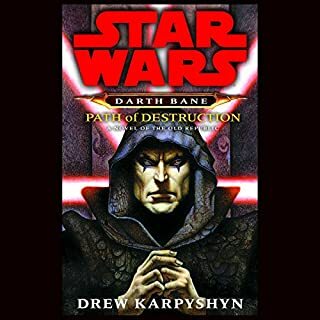 More in the Hand of Thrawn series we have. And download all of our Star Wars titles you can! (P)1997 Lucasfilm Ltd. and TM. DON'T DO IT! Get the full unabridged version!!! This version is short... The full unabridged version is 14 hrs long... But that's not even my biggest complaint. Anthony Heald is fine as a reader I suppose, but after listening to Marc Thompson, he's absolutely horrid! 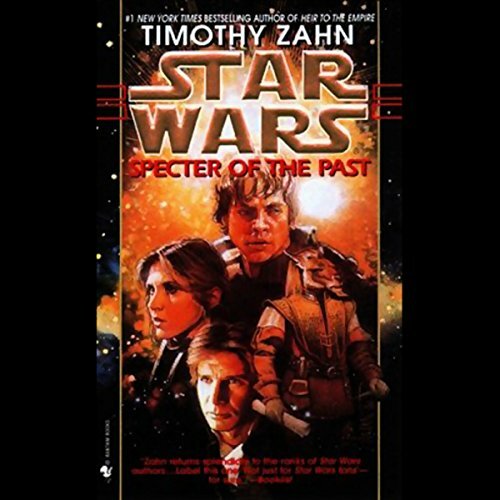 What could Timothy Zahn have done to make this a more enjoyable book for you? ... Where do I begin? The voices have zero familiarity... and almost zero variety... and only slightly better livelihood... It's just monotonous and boring. It gave my a glimpse of the story... So now that Marc Thompson has a full unabridged version I might enjoy it even more! 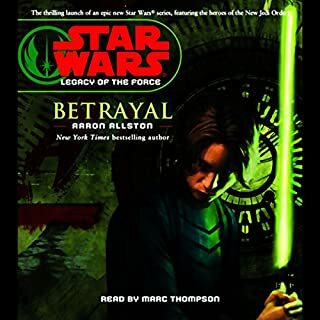 I wouldn't have finished the series if this is what I had to look forward to... now that Marc Thompson has a version, I'm giddy with anticipation! 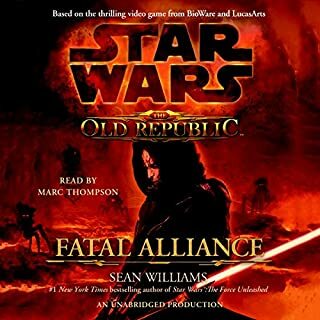 I haven't read the book, but I was looking for something light to listen to in the car on the way to work. I'm not sure how much of the book they cut out for this abridgement or whether it was any good even with the missing material, but this audiobook sounds like a writer's outline or pitch for a book...not an actual book. There is no plot, no character development, no anything. There go here, do this, go there, do that. The End. Even at the low price, this is a huge ripoff because you aren't getting an actual book with this thing. I'm also listening to the Legacy of the Force series and at a little over 6 hours each, they leave enough material to be decent enough...although they would also be better unabridged. 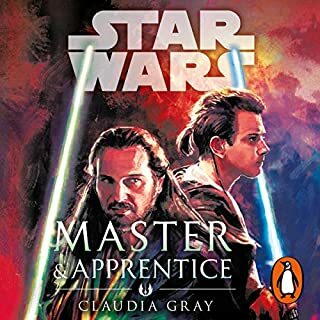 Rule of thumb, if you see a star wars audiobook that is under 6 hours, pass on it. You will not be happy with what you get. Also, email the publisher and demand that they stop producing abridged audiobooks. I did and they actually did send a response to me. If enough people complain, they may reassess their position on this issue. Oh, one more thing, the narrator on this book is about the worst I've heard. I hate to be this critical, but he is just not in the right line of work. It can sometimes take a while to get used to a narrator's style and I kept trying to give this guy a chance, but he just isn't any good at this. Inappropriate pauses in the dialogue, corney attempts at assuming different character voices, I sort of feel embarrassed for him. The only time I didn't mind listening to him was when he was using his version of Pellaenon's voice. The rest of his characters alternated between wooden and simpering. Abridgements have always been a disappointment to me. 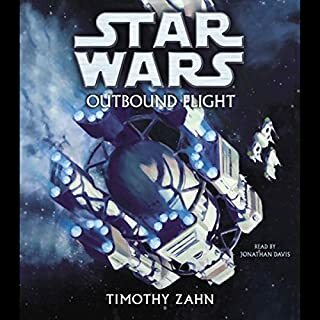 I have loved Timothy Zahn's stories within the Star Wars universe, but this abridgement failed to do the book justice. The sound effects became so loud at times that you could barely hear the words. At the end of the book I was saying to myself, "what the heck kind of book was this?!" Then the voiceover said, "you have listened to an abridged version" --said it all. I really don't understand why audiobooks are abridged. The whole point of audiobooks is for you to have the pleasure of reading a whole book when you don't have the time to read. I feel like I wasted my Audible credit on this one. I'll pay more attention to the "abridged" noting on the item listing next time. Did Anthony Heald do a good job differentiating all the characters? How? The pacing of the narration was a bit fast. 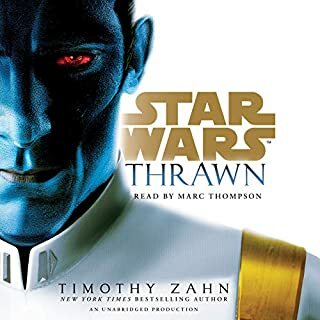 I had listened to re-vamped editions of the Thrawn trilogy, which were excellently done. Those had voice acting and everything, so I was spoiled when I came to this book expecting the same voices to play the familiar characters. Doesn't happen. This is a wonderful book but this abridged version does not do this book justice. I have read this several times and was excited to get the audiobook. Please just read it. You will be much more satisfied that listening to this version. There is just to much left out and it jumps all over the place. It feels very disjointed. 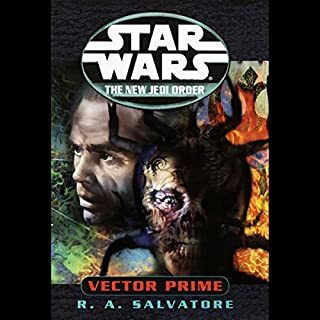 Though not to the standard compared to other Star Wars novels and short stories, it is OK. I doubt that I will purchase any more of the series, though. The narration was OK, but nothing great. 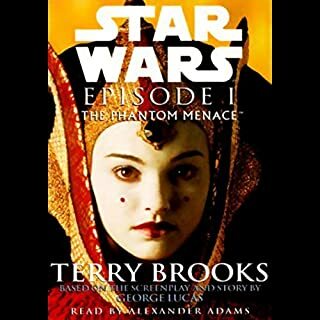 This was my first audio book, and it got me hooked! 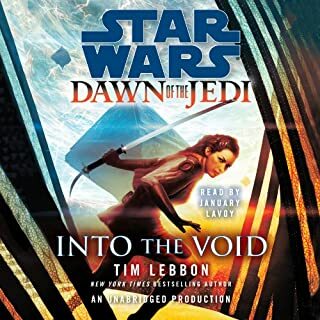 I've previously read Timothy Zahn's other Star Wars novels and thoroughly enjoyed them, as such, i'd consider this and 'Vision Of The Future' to be must reads (must listens?). I've come to look forward to Anthony Heald's narration too. He has a good voice and does a good job portraying the characters.